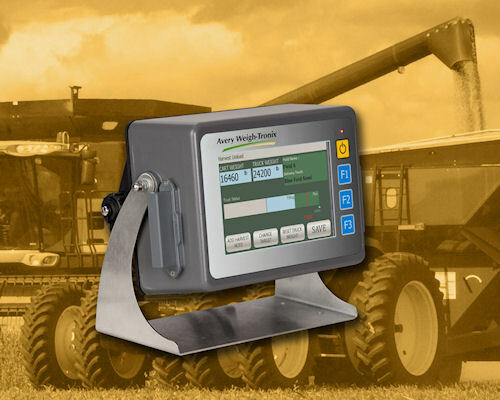 Avery Weigh-Tronix develops grain monitoring software for its 3060 Touch Screen Indicator. Avery Weigh-Tronix has developed a unique software program for data collection and export from the grain cart. Field Foreman Grain Cart Software runs conveniently on the company's 3060 Touch Screen Indicator and easily integrates with virtually any brand of load cell or weigh bar. With the ability to track and save all field data, harvest notes and delivery information, the Field Foreman program ensures accurate data collection for more accurate decision making. Avery Weigh-Tronix's 3060 touch screen indicator now has Field Foreman Grain Cart software capability for data logging and easy export. Enhanced with optional Field Linx software, a windows-based PC program, Field Foreman operators can easily manage data from multiple 3060 Indicator from one PC, eliminating redundant data entry and management. Data can quickly be transferred from the Field Foreman/3060 to the Field Linx software via USB thumb drive. Additionally, Field Linx easily translates data into custom reports, with the option to export data to Excel or XML formats for use in other PC applications. Together Field Foreman and Field Linx help streamline the process to establish Average Production History and provides additional proof of yield documentation for Federal Crop Insurance. The system also includes a grain cart weighing system to prevent overloading delivery trucks in the field. For more information, visit www.agscales.com.